From 1st October 2014 you will no longer be required to display a tax disc in your vehicle windscreen to prove your vehicle has road tax. Please watch the video opposite which will give you all the information you need to understand the changes in vehicle road fund licencing, and what you need to do if you buy or sell a vehicle. Don’t Throw Your Tax Disc Away! Please don’t just throw away your tax disc & tax disc holder, as we have come up with a cunning plan! You see we’re going to be recycling the discs and holders in a novel way. 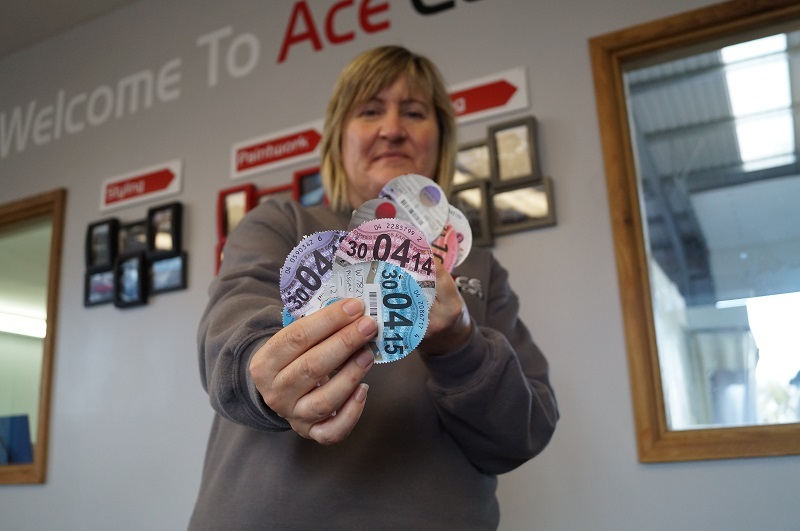 We’re contacting local colleges to see if their art students can produce a huge mural using the tax discs for display on one of the empty walls we have in our newly refitted Car Care Centre. So the discs and holders won’t go into landfill, and the local students will have a worthwhile project to complete.